NDA’s Hazard Communication Program for the new Global Harmonized System can help you understand 29 CFR 1910.1200 and how it effects your company. Click here for an overview of the program presented by Mike Gunlund of the NDA Safety Committee. 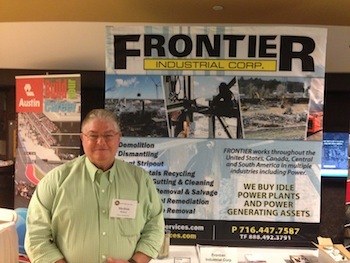 The National Demolition Association took part in the fall career fair at Purdue’s School of Building Construction Management on Friday, Feb. 28. 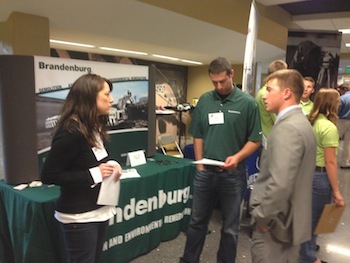 The career fair was the largest since 2006 and highlighted the scramble for new workers in the construction industry. With 114 companies represented at the first of two career fairs for Purdue construction management students, it is obvious that there is growing competition for the 76 graduates expected this school year. The NDA’s ongoing support of the demolition courses at Purdue as well as the NDA student chapter continues to bear fruit with an enthusiastic group of students interested in working in the demolition field. The resumes received from that group are now available on the NDA members only website. 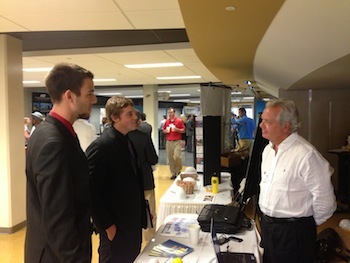 To find out more about the Purdue Internship Program, click here. Take a look at great work being done by NDA member Veit & Company Inc. of Rogers, Minn. It shows the demolition of the Ashland ore dock in Ashland, Wis. Following up on recommendations from their investigation of city demolition practices, Philadelphia City Council members unveiled a five-bill package to strengthen the safety requirements on demolition jobs and mandate minimum training for both contractors and city inspectors, among other changes. An industrial demolition project requires careful, consistent project management to ensure that all the proper permits, fees, and plans are submitted to the appropriate authorities. But in the sea of considerations for a demolition project, the asset recovery piece is too often overlooked. The stacks and boilers at Florida Power & Light's old 1960s-era Port Everglades Power Plant came crashing down on July 16to make way for a new plant run on U.S.-based natural gas. Researchers in the U.S. are calling for a change to building codes, following a study showing that the mandatory flame retardants routinely added to foam insulation are harmful to human health and the environment, but also make no difference to the prevention of fire in many buildings. There are many people who just know how to interview well. They'll razzle and dazzle you with what seem to be all the right answers. So how do you get past that and find out more about the person behind those baby blue, green or brown eyes? Here are a few great questions you can ask potential employees that do not usually elicit pat answers and will provide you with some great insights on the person behind the applicant. There are five words that every customer hates with a passion: "That is not my responsibility." Regardless of whether you're in sales, support, engineering, marketing or management, if you say those words to a customer, that customer knows that your firm doesn't give a damn. And you've probably lost that customer, too. Here's why. Think of the future. What comes to mind? Flying cars perhaps? What about robots? Most people would probably go to the extreme and think of these two things. But, why don't we take a look at some green building materials of the future? These six materials are seeing increasing usage in the building industry, so their entrance into mainstream home construction might not be so far away from our present time, after all.